We're almost done with Season 5 of Fortnite, but there's still some challenges left to complete for Week 9! 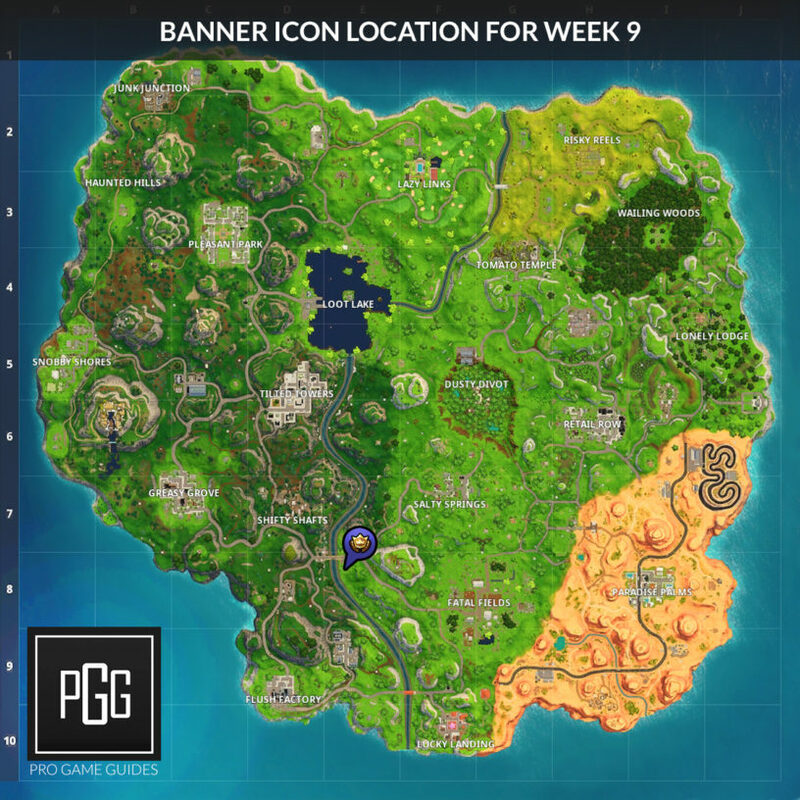 Our Fortnite Week 9 Challenges List brings you all of the solutions and answers for the challenges you need to complete for the week. We have maps to treasure and item locations, as well as tips for completing all of them as quickly as possible! This week we're dealing damage with explosive weapons, racking up points with an ATK or Shopping Cart, following a treasure map from Shifty Shafts, opening chests in various spots on the map, visiting different stone heads, eliminating enemies with an Assault rifle, and getting eliminations in the new Tomato Temple! 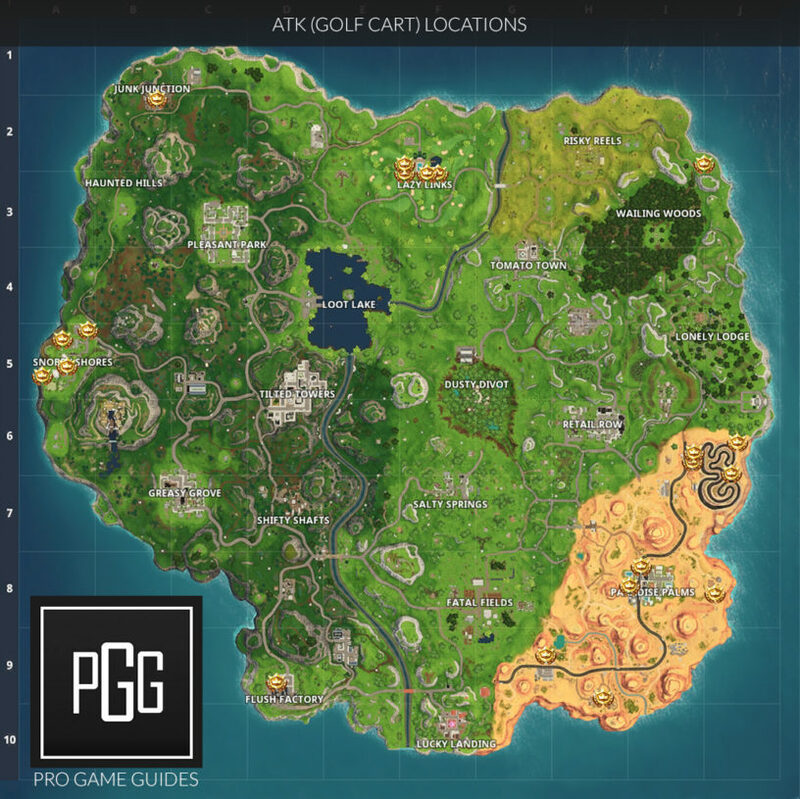 Check out our Fortnite Season 5 Guide for guides on every week of challenges! This one can be a bit annoying at times, but keep in mind that you can use all sorts of weaponry. 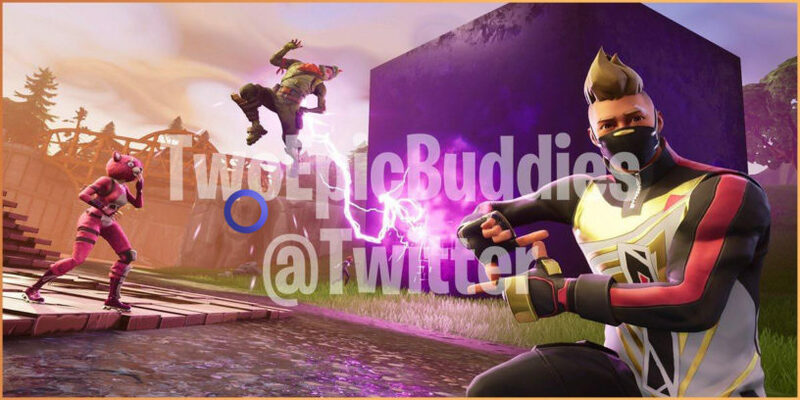 You can use Grenades, Stink Grenades, Sticky Grenades, and Remote Explosives. This also included the traditional usage of the Rocket and Grenade Launcher as well as the Guided Missiles. Getting trick points requires you to launch off of ramps and various hills and mountains while spinning around or banging off of things. You'll notice a points multiplier as you start to drive around. Keep in mind that you have to land safely to get the points from your fancy moves. You shouldn't need to do this in one trick, it's cumulative so don't fret about sticking the landing! Check out the ATK locations map below, and if you want to learn more about them check out our ATK Guide. You'll find the treasure from the Shifty Shafts map north of Salty Springs on the mountain. It's on the south-eastern portion, it's on the third level from the top of the mountain if you count each section. It's time to do some traveling around the map and hit up the different Stone Heads that are scattered all over the place. Most of these have rifts nearby, so you can actually bounce around from each one if you are lucky! 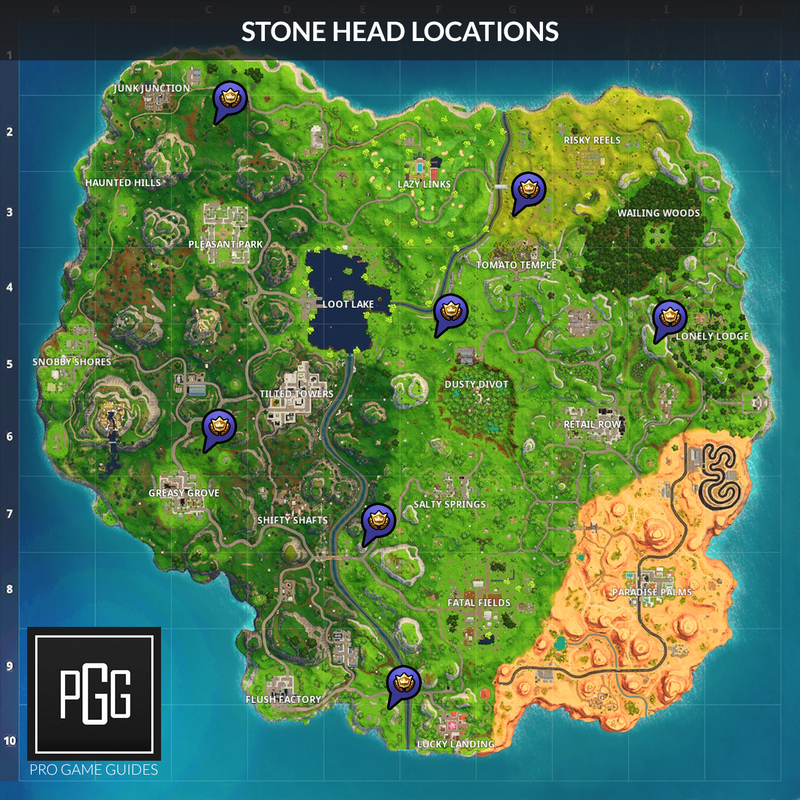 I've included a map with all of the Stone Head locations below! This one should be fairly simple to do, but Assault Rifles have been a bit less popular now that SMGs and the Drum Gun have been taking over. If you want to learn how to manage your assault rifles better, check out our Assault Rifle Tips Guide! Tomato Temple is one of the newest additions to the map. The once lowly Tomato Town has been turned into a shrine for the great Tomatohead. The area itself reminds me of Shifty Shafts, so watch all of your areas high and low. There's multiple levels to this part of the map, and finding where someone is coming from can be a bit confusing. Once you've completed all of the challenges for the week you will unlock the following loading screen!